171 Beacon is located on the south side of Beacon, between Berkeley and Clarendon, with 169 Beacon to the east and 173 Beacon to the west. 171 Beacon was built ca. 1866 by builder and real estate dealer Paul D. Wallis, one of three contiguous houses (169-171-173 Beacon) he built for speculative sale. He and his wife, Mary Caroline (Pierce) Wallis, lived in West Roxbury. Click here for an index to the deeds for 171 Beacon. On November 1, 1867, 171 Beacon was purchased from Paul Wallis by Mary Buckminster (Jones) Moors, the wife of Joseph Benjamin Moors. 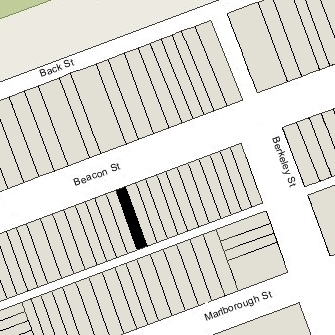 They previously had lived at 72 Newton. They also maintained a home in Cohasset. Joseph Moors was a dealer in shoe findings until about 1867, after which he became an investment banker. Joseph Moors died in April of 1909. 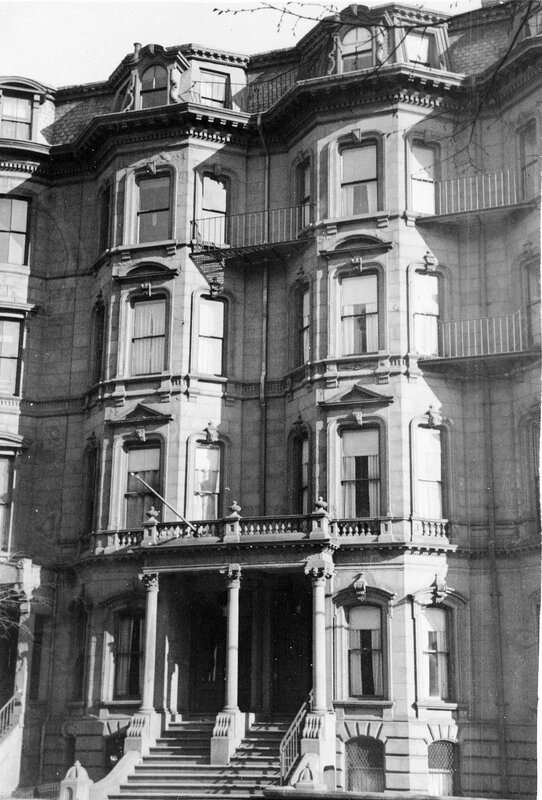 Mary Moors continued to live at 171 Beacon until her death in December of 1913. Their unmarried sons, Arthur Wendell Moors and John Farwell Moors, lived with her. Arthur Moors was an investment banker in his father’s firm, J. B. Moors & Co., and John Moors was a broker in his own firm, Moors & Cabot. Arthur Moors married in June of 1914 to Virginia Fisher, and they made 171 Beacon their home. On December 11, 1915, he acquired the house from his mother’s estate. John Moors continued to live with them until his marriage in May of 1918 to Ethel Lyman Paine; after their marriage they lived at 32 Mt. Vernon. In 1914, they were joined by their brother-in-law and sister, William Henry Brown and Adelaide (Moors) Brown. He was a lawyer. They had lived in Cohasset in 1913 and continued to maintain a home there. By 1915, they had moved to 304 Beacon. 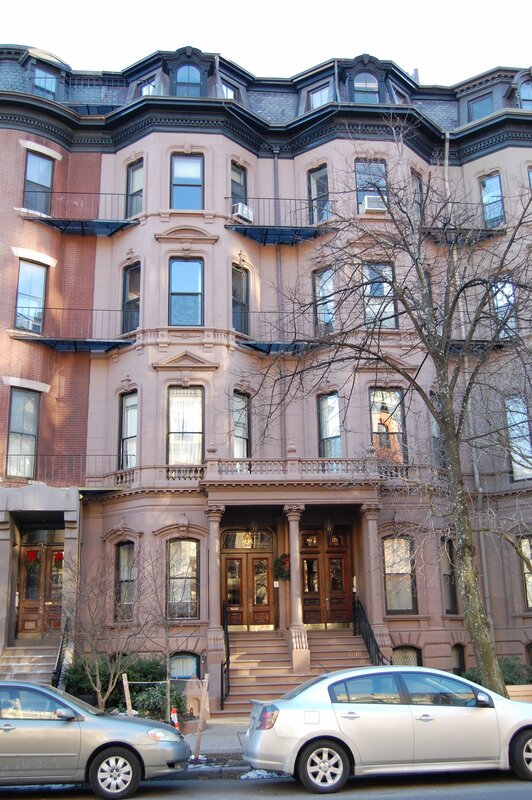 Arthur and Virginia Moors continued to live at 171 Beacon. They also maintained a home in Cohasset. Virginia Moors died in November of 1944, and Arthur Moors continued to live at 171 Beacon until his death in January of 1949. On October 5, 1949, 171 Beacon was purchased from Arthur Moors’s estate by Mary A. Sullivan. That same month, she applied for (and subsequently received) permission to convert the house from a single-family dwelling into twelve apartments. On October 31, 1955, 171 Beacon was acquired from Mary Sullivan by Brimmer Realty, Inc., one of several real estate firms owned by Julius Kalman (Kalmanovitz). On March 27, 1957, Brimmer Realty, Inc., transferred 171 Beacon to Jennie Loitman Barron, Mark R. Werman, and Jacob Grossman, executors under the will of Julius Kalman. On August 28, 1958, 171 Beacon was acquired from the estate of Julius Kalman by Beacon View Realty Incorporated. It also owned 169 Beacon, which it had acquired in November of 1956. On December 31, 1965, John V. Kunigenas, treasurer of Beacon View Realty Incorporated, transferred 171 Beacon to himself and his brothers, Robert P. Kunigenas and Michael C. Kunigenas, Jr. On the same day, he transferred 169 Beacon into his own name. On June 29, 1973, 171 Beacon was acquired from the Kunigenas brothers by Anthony P. Baker, general partner of the Bay Associates Limited Partnership II. On July 7, 1976, John Kunigenas foreclosed on his mortgage to Anthony Baker and took possession of 171 Beacon. He also continued to own 169 Beacon. On August 22, 1979, 169 Beacon and 171 Beacon were purchased from John Kunigenas by the Broderick Development Corporation (Frank H. McCourt, Jr., president). 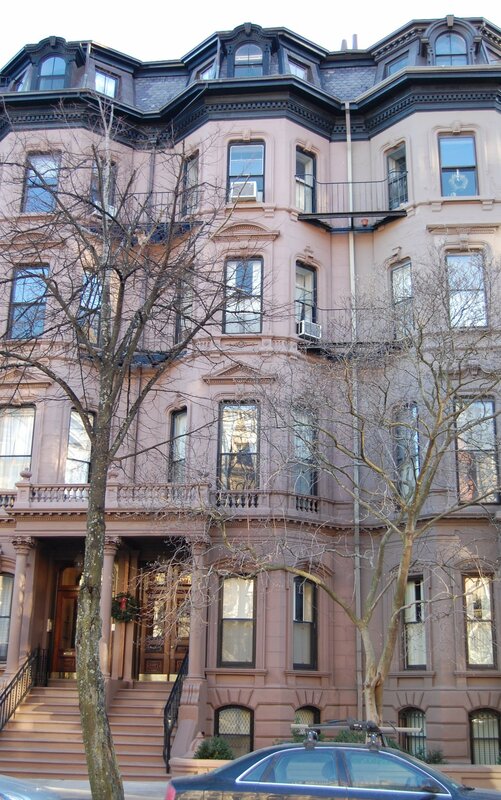 On the same day, it also purchased 136 Beacon, 138 Beacon, and 119 Marlborough from him. On May 30, 1980, Jane S. White, trustee, purchased 169-171 Beacon from the Broderick Development Corporation. On December 29, 1983, she converted the two buildings into twenty-four condominium units (twelve units in each building), the Beacon Associates Condominium.